Julia Rothman is an illustrator, pattern designer, and author. In addition to working for clients such as the New York Times, Target, and Ann Taylor, she has her own lines of wallpaper, stationery, fabric, and dishware. 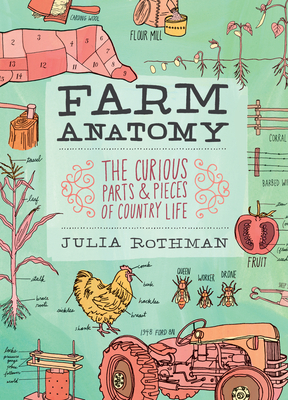 Rothman has authored, coauthored, and illustrated ten books including The Nature Anatomy Notebook, Food Anatomy, Nature Anatomy, and Farm Anatomy. She lives and works in Brooklyn, New York.